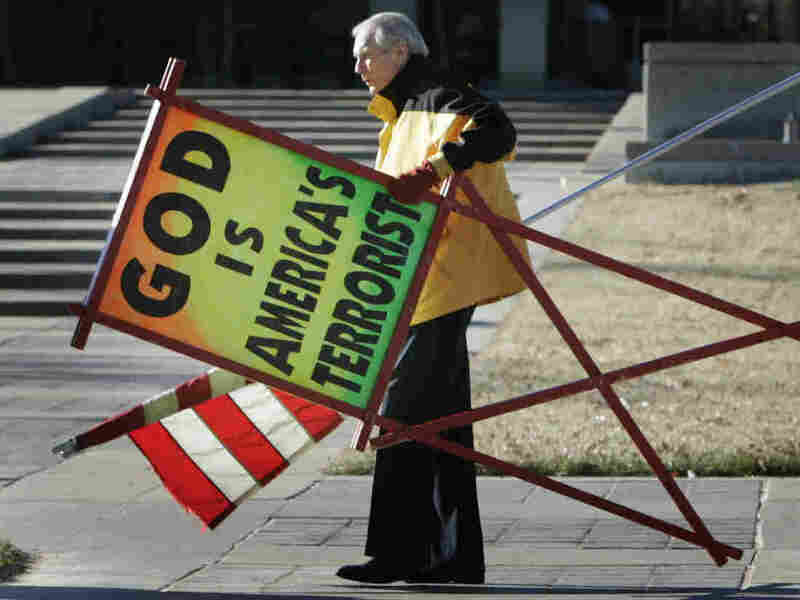 Westboro Baptist Church Founder Fred Phelps Sr. Dies : The Two-Way He led a tiny congregation in Topeka, Kan., that drew national attention for its protests at funerals of soldiers and celebrities. Phelps wanted to spread his views about homosexuality and abortion. A son, Timothy Phelps, tells WIBW-TV in Topeka, Kan., that his father died just before midnight Wednesday. A daughter, Shirley Phelps-Roper, tells The Topeka Capital-Journal that her father died at Midland Care Hospice in Topeka. The Associated Press says it too has confirmed the news. The cause of death hasn't been reported yet.